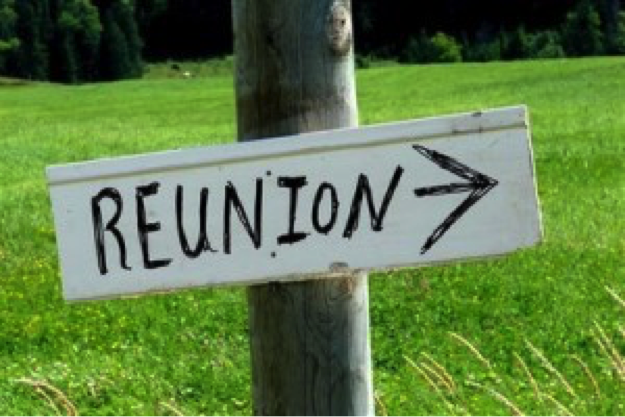 Reunions. I’ve been thinking a lot about them this month. Many of my thoughts have followed a familiar pattern well worn over the years since my childhood: images of awkward social experiences and the fear of not belonging flashing through my mind. And yet, my thoughts have been increasingly disruptive as I’ve sat with them, particularly since reading Becky Allender’s post here on her own reunion experience, and her statement that there is something necessary in blessing and honoring the gift of the past in order to prepare our hearts for the “inevitable beauty and suffering of the future.” While I have come a long way in learning to bless some of the more painful parts of my past, I still too often find myself wishing I could relegate much of it to the “memory dump” – home of those memories we no longer have need of nor storage space to hold. Last week as I scrolled through my Facebook newsfeed, I found pictures of yet another reunion, the aged and yet familiar faces bringing up a new jumble of memories as I took in the image of my dad and all his siblings. I flashed back to the last time I had seen many of them – another family reunion probably 25 years ago. Chris and I will always remember the story of how difficult it was to get there – he ended up locked out of the tiny Iowa airport that shut down at the end of the day, waiting at the curb for my dad and I to drive there to find him when he failed to show up at the reunion. I found myself associating more memories with each one of my relatives the longer I sat. I remembered the summer week I spent as a young teenager with my Aunt Lois after her son was born, helping with chores during the day and listening to her eclectic record collection in the evenings. There was my Aunt Ruth, who had warmly welcomed Chris and I to her dairy farm in California when we moved out there early in our marriage, far away from our families in MI for the first time. My Aunt Audrey still looks the same, and I remember how kind and gentle she always was. My Aunt Linda looked a little less familiar, and interestingly that is how I remember her growing up – I didn’t know her that well. My Aunt Ila is still tall, a formidable woman who I remember well for the Thanksgivings we spent at her home while growing up. My Uncle Don still looked like a lot of fun, I remember how he always made us laugh on our visits to the family farm that he took over after my grandfather’s death. And Uncle Ed still seemed a bit imposing – I had always seen him as a kind and yet somewhat scary man, he was a school principal after all. And then there was my dad. He looked old, and a bit frail. And both familiar and not – for I have not seen him in years. A fresh wave of grief washed over me as I felt again the pain of our broken relationship, the pain that is especially deep because of how close we were for most of my life. I wondered what my aunts and uncles remember, if they too have relegated memories that include my siblings and I to the forgotten past, cut off with the fracturing of our family. I wonder how long my dad has left, if I will even know when he dies, if I would be allowed or even desire to attend his funeral. I have so many questions, with no foreseeable answers. And yet, there is growing inside of me a desire to return, to come back to those memories and others in order to honor and bless the gift of my past. Those moments and faces both painful and beautiful are woven inexplicably into the fabric that is me; my attempts to cut them out have left gaping holes that I long to see patched, restored. 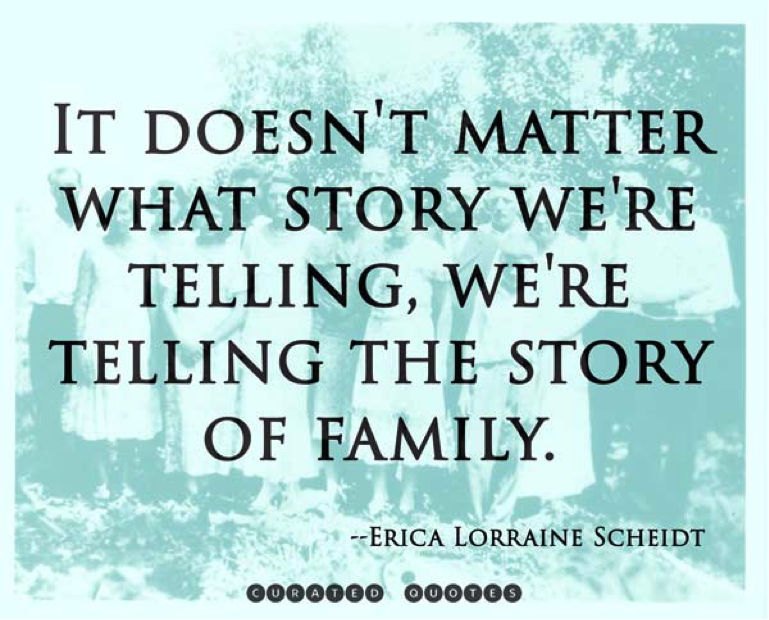 I wonder as you read snippets of my family stories if you found yourself returning to a few of your own? May we continue to return and reclaim our stories, leaving our hearts open to the stories that have yet to be written, for there is still time. 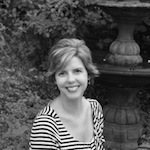 Dear Janet, so beautiful how you shared heart warming memories of relatives in your childhood story. My heart aches with you for the longings that might go unmet concerning relationship with your father. I know the heartbreak of holding those broken places. My heart longs for you and with you. I love the beauty your words create. Thanks for being so open and vulnerable with what you share. I too long for something so much more in my family of origin. Yes. I love your recall and the idea of allowing the waves of memory to wash over you as you long for wholeness.